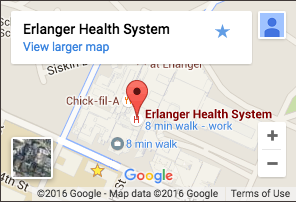 Erlanger is a member of the Children’s Oncology Group (COG), the world’s largest organization devoted exclusively to childhood and adolescent cancer research. Our collaboration with COG connects our program and patients with more than 8,000 pediatric oncology experts worldwide and the latest clinical-translational trials. We’re part of the Tennessee Newborn Screening Program for Hemoglobinopathies (sickle cell disease and thalassemia’s), providing research, education, counseling and comprehensive clinics. We operate the state-sponsored Hemophilia Program for Southeast Tennessee, offering comprehensive care from birth to adulthood.